I Don’t Wear Plus Size Winter Accessories! Since I live in the San Francisco Bay Area, it is fairly unusual for me to need a winter hat, gloves and/or a scarf. For the occasional fire on the beach I have a 10 year old kitty hat and a pair of purple leather gloves. Last night we went to a party and it was warm enough to sit outside for a drink while we were near the fireplace. But, I did live in Minnesota one winter and loved the winter coats and scarves and hats, the weather, not so much. So I looked around and these are what I would be wearing if I lived in snow country right now. 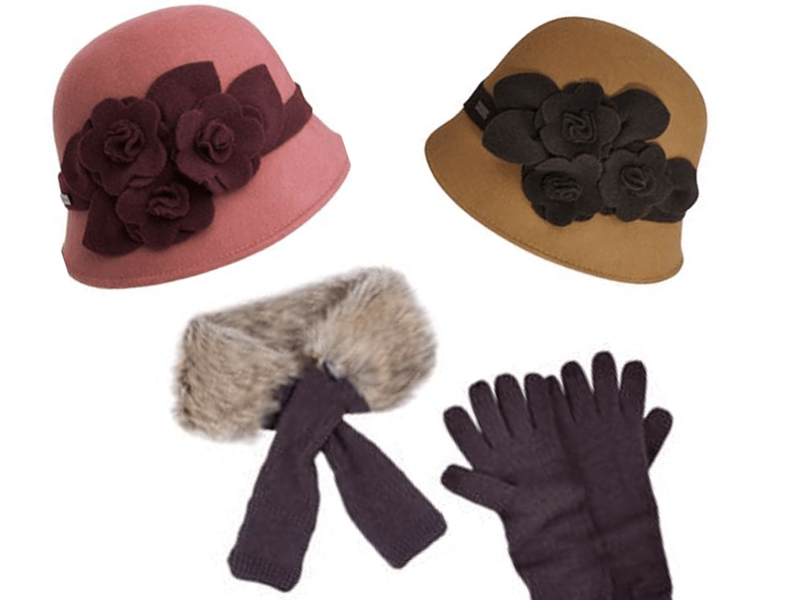 I love a cloche hat and thought the faux mink collar and gloves would be fabulous with either of them. 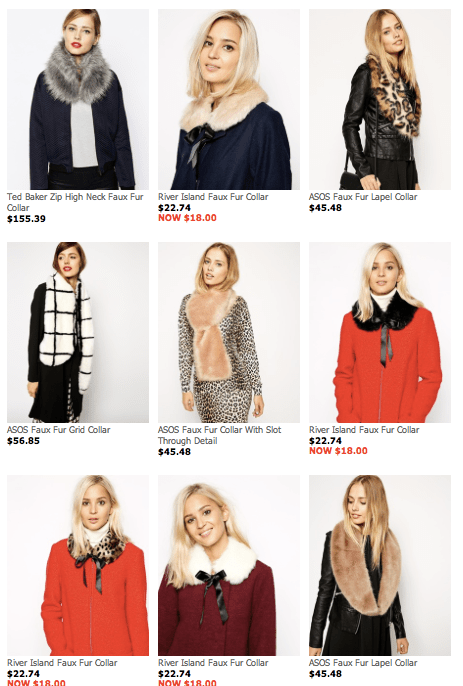 Did you see the collar also comes in leopard print. And they are all on sale! One Stop Plus has the best selection of plus size hats I have ever seen. Winter hats, summer hats, sunday go to church hats, cowboy hats, silly hats, bright colored hats, they have over 400 hats. A great place to start when you are hat shopping. 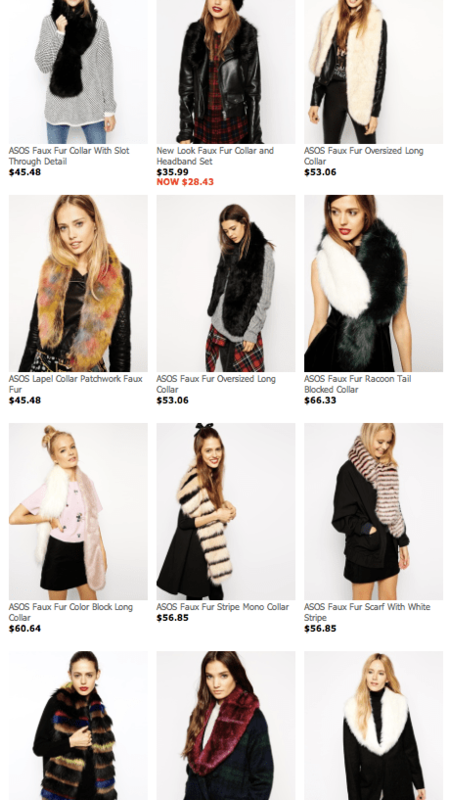 And did you know fur collars are EVERYWHERE this year? In fact, I think most of these standard size collars will accommodate plus sizes. The short collars are about 20 inches, which would work for me with a longer ribbon, and the longer “collars” or faux fur scarves, would work at their current 46″ length. I think they are fun and add depth and breadth to any outfit. Some of them are very fun and others are more conservative, and many of them are on sale. I wanted to bring you one last set of choices. 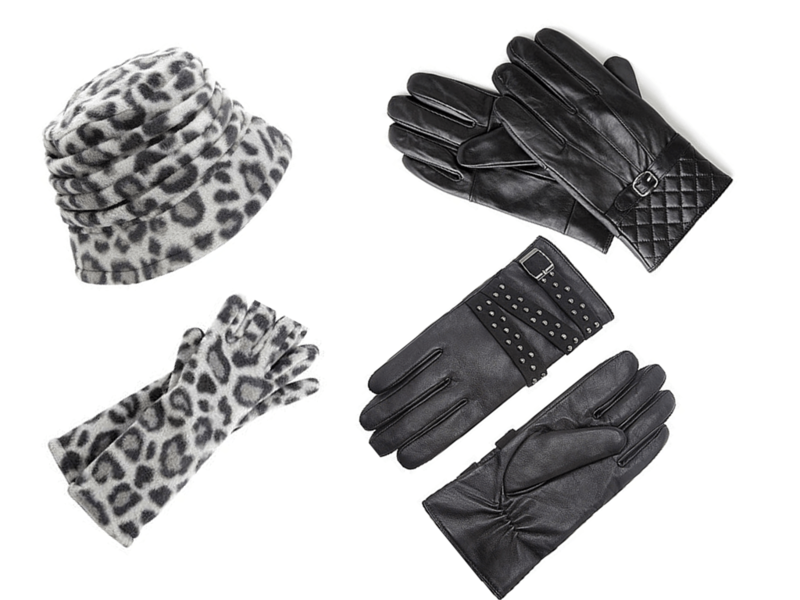 A black leopard hat with several different glove possibilities. The fleece hat and gloves, as well as the quilted gloves are all on sale and would make great gifts. BOOTS: I cannot discuss Winter without mentioning boots. The hunt for wide calf boots is always with us. If you want to see what I think are the widest calf boots available, please click HERE. Don’t stop here. 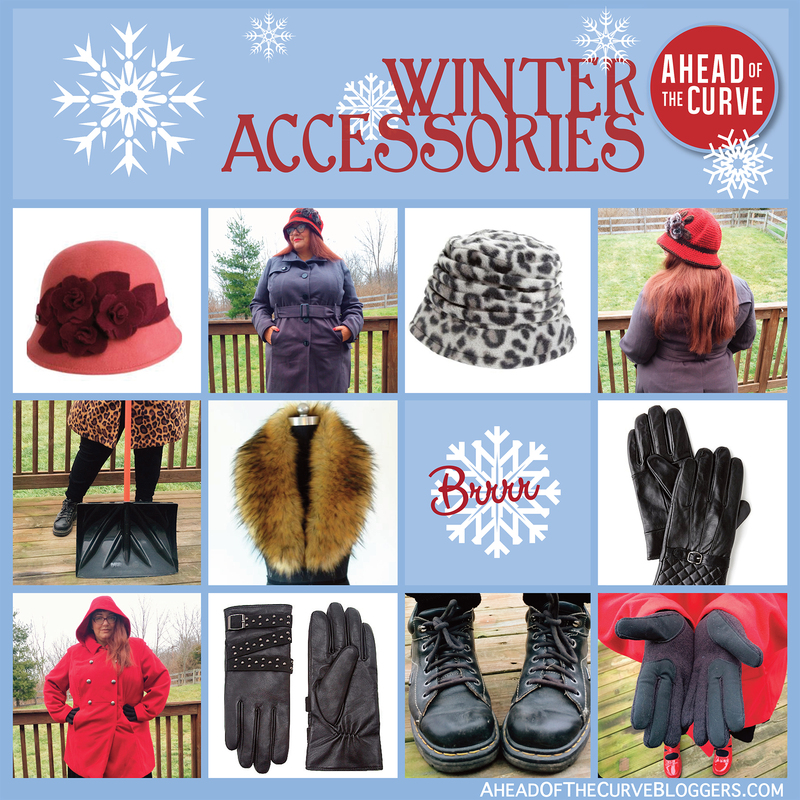 Check out what Cherie and I from AHEAD OF THE CURVE had to say about our theme this month, “Brrr…Plus Size Winter Accessories”. Ahead of the Curve, is a collective of plus size bloggers that come together to post on the same subject. Stay in the know with Ahead of the Curve by liking us on Facebook and follow us on Instagram as Ahead_of_the_Curve_Bloggers.